New to our range, the Harmony 3d Step Frame provides a unique, sophisticated setting that lifts and frames any image perfectly. Its clever design creates a frame within a frame by combining the elements of a standard surround in an innovative way. This directs the viewers gaze to the image at the heart of the setting, adding extra depth and focus to create a beautiful, compelling wall display. Choose from a range of finishes and profiles to produce the tailored look you want. 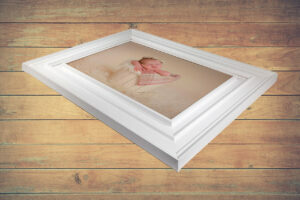 Your image will sit in a raised box at the centre of the arrangement which is created by stacking your chosen moulding. The outer frame is then added with a profile and finish to match. To complete the bespoke nature of the frame, you can choose from a range of colours and sizes for the moulding that sits between the two. With the different elements of the frame working in harmony together, you will have the perfect 3d setting for any artwork or photography you want to display. It couldn’t be easier to order your Harmony 3d Step Frame from us. 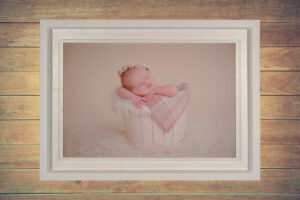 To get started, upload your photograph or image and select to print as a canvas or as a professionally printed photograph. Choose the size of frame you want and then select from the finish, profile and moulding options available to you onscreen. Once you are happy with your selection, submit your order and we’ll take care of the rest. Our craftsmen will make the frame in our workshop to your specification. When it is ready, we’ll send your Harmony 3d Step Frame direct to your door. 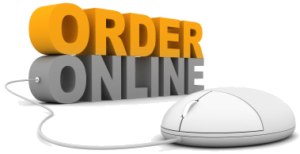 Find out more about our online ordering service here.